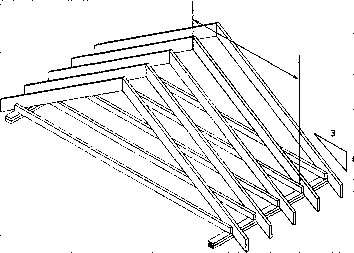 Select the smallest dimension rafter that is able to span the roof as described below. Building location is: Ottawa, Ontario, specified roof snow load is 36 lbs/ft;(1.72 kPa). Roof slope is 1 in 3. Rafter span is 15'-6" (4.7 m). Shingle roofing to be used. Lower ends of the rafter are restrained. 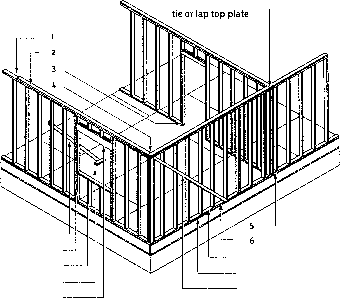 Select the roof joists thai ice able to span the roof as described below. Building location is: Ottawa, Ontario. Specified roof snow load is 36 lbs/ft (1.72 kPa). Roof slope Is 1 in 3. 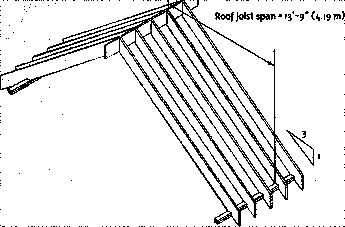 Lower ends of tho roof joists are restrained.